English is a popular language, BUT there are almost 7000 other languages around the world, according to Carnegie Mellon University. Ok, most of those aren’t really used and only 6% of all languages account for 94% of the world’s population. In practical numbers, this would be over 400 languages. That number is still a lot. But it comes with opportunities. In the end, you have the opportunity to do your marketing not only in English but in all those other languages. Does this give you a new panorama of your business potential? I bet so. In fact, English is not the most spoken language throughout the world as one may think. It comes only in third place actually – right after Mandarin (main form of Chinese) and Spanish. Interesting, huh? Even cooler than this fact, is the fact that you shouldn’t freak out if your website is currently in English only. We will show you how to take it into any other language you want. 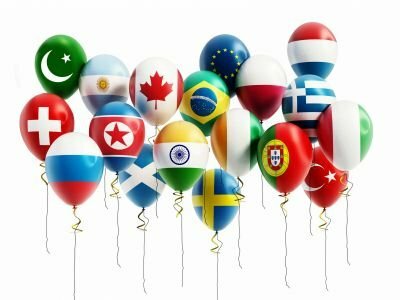 Don’t get overwhelmed and end up keeping your website in only one language - know that you can easily build a multilingual website. Take advantage of multilingual if you want to grow your business. If your business is located in the USA and you have a website in English, your basic audiences is about: 300 million people. Of course, there is a certain limit to how many people you reach based on your brand, content, products and other infinite factors. But if you duplicate your website to Spanish, Chinese, French, Portuguese, Russian and more… Your audience will grow by hundreds percent! For example, if you put out a second version of your website today, in Chinese, you would instantly TRIPLE (yes, 3x!) your basic audience. And depending on the products you offer, you could most likely triple your income as well! This whole talk about languages is getting better, isn’t it? Let’s dive a little further so you can get even more excited about broadening your audiences. Let’s start by asking ourselves a few questions. How many different dialects does English have? How many dialects do all the other languages have? How will your potential customer feel if he or she browses a website that is specifically translated into the dialect he usually speaks? There is a huge number of dialects that are basically the same language but spoken differently. However, the people who speak those dialects feel like they speak a unique language. And if you can provide them that sense of uniqueness and take advantage of catering to them in their own dialect, they will feel much more inclined to take an offer or buy something from you. The number of people you can reach by having a multilingual website is huge. And the numbers you can add to your balance sheets are huge as well! And the coolest thing here is that you can start on this journey very easily by using SITE123’s Multilingual Tool. 1. Go to SITE123 and start by choosing your website type. 2. Insert your website name. This will go straight to your titles and SITE123 automatically puts it into the inner SEO workings of your website. 3. Setup your homepage. It will be the first thing people when see when browsing a website so pay attention to the details. There are various layout options including images, video, buttons, etc. Choose the one that matches your main goal for your homepage. 4. Add your unique content by editing each page separately. There are various page options. By clicking on “Edit”, you will see all the editable parts. Then it’s just a matter of inserting your content into the right places. 5. (Awesome tip) You can also use the royalty free images and videos on SITE123 image gallery. There are thousands of images available and they are all free to use! 6. Translate your website automatically. You can translate all your website text automatically using top translation engines such as Google Translate and Bing Translate. Personal translation - You can do a personal translation with a unique and easy to use translation interface. Export/Import - Of course, you can export your website translation file and send it to a professional translator and then bring it up quickly. Dialects Translation - SITE123 Multilingual Website Tool can duplicate your website to every dialect you choose, for example, British English, American English, Scottish English, etc. RTL Languages Recognition - SITE123 Multilingual Website Tool knows how to create a perfectly translated website also for Right-To-Left Languages. 8. Flags – it’s easy to add flags to every language on your website. All you have to do is choose a flag for the language you are editing through the Languages Manager. 9. Results: here is the same website in three languages. With just a few clicks, you can create, edit and translate your website. It has never been so easy to put together a website in as many languages as you want. And it doesn’t stop there. All your alternative websites, the ones in other languages, also come with full SEO functionalities. Every language gets a separate URL! This means that every language can get a unique domain (Examples: www.mydomain.com/fr, fr.mydomain.com, www.mydomain.fr) and it will be fully scanned by Google and other search engines. When each domain is scanned, they are indexed as a unique website. So for search engines, it’s like you have various websites. But what does that bring you? Let’s see... Imagine if your website could appear on the top of search results in your primary language. Now imagine if you could rank high on searches in all varieties of languages! Wouldn’t that be amazing? Href-Lang Meta Tags will be embedded in every page on your site (on the main language website and on the duplicate languages websites). Each tag will be spread out on your website so your website spreads out on the internet and hence, on search results. This is the easiest way to type a few words and get infinite results from just a simple action. Sitelink.xml file that is scanned by Google and other search engines, will be built automatically for every language. This means your site will have full SEO functionalities in all languages, including even the most technical SEO aspects. And SITE123 takes care of all that for you, of course. The language menu will be built automatically on your website. Choose languages, flags and then sit back and see your language menu appear instantaneously integrated to your main menu. Website Builder Industry - most of the tools that exist in the website builder industry have a place for many mistakes and hours of work (at best). You have to manually create each separate website, then translate everything on your own, make sure everything is matching across all languages and so on. In other words, this is what they require you to do: Duplicate your site pages >> Translate the duplicate pages >> Delete your site menu >> Create a new site menu out of buttons. Quite some work, huh? It gets tiring just to talk about. Unless you want to die a slow death in front of a computer screen, agonizing while you do all the duplication, translation, menu, etc, get out of the mud and stick to the easiest website builder ever: SITE123. Google translate widget OR Bing translate widget - on some website builders, there is an option to add a translation widget from the main providers. The widget seems effective in the sense that it translates your website into the other languages you choose. 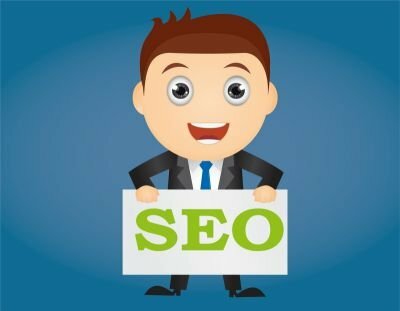 However, a widget of that sort is a bad choice in the SEO point of view: with this option, you can display a different language on your site, but this is actually a layer that appears on your site, so it has no effect in terms of different languages SEO, no unique URL and no option to manual translation. In other words, it means that only the main website of the main language will appear on searches. The alternative sites on other languages will not. The SEO power of those options is irrelevant when compared to the much-enlarged range of SEO results SITE123 can bring you. You don't need to build your website several times! With SITE123 Multilingual Website Tool, all you need to do is to enter your content once, and we do the rest of the work for you. Translating, integrating, restructuring, coding - everything is done behind curtains and you have to worry 0% about it. There are no mistakes whatsoever! For example, if you have dozens of products in your online store you do not have to go through each product in all languages and duplicate them. You set up each product only once and then our system will translate it to all other languages automatically. Then it’s just about waiting and seeing the results coming from all over the globe. Multilingual Design - With SITE123 Multilingual Website your design will maintain a uniform and professional structure. Everything will stay in place just like you have put it. The final appearance of your website will still be great with the multilingual option. The only additional item will be the language menu composed of little flags that are integrated to your main menu. Overall, it ends up acting like a little touch of sophistication to your menu design and website identity as a whole. Reach millions of people – get prepared to take action using SITE123 Multilingual Website Tool and experience the benefits from your enlarged reach. You will be amazed by the results. If you ever wondered where are all those 2 billion Chinese and 1 billion Indians that you have heard about but seen only a tiny fraction of, you will find out as soon as you translate your website into their languages. Enjoy the results you will get from being able to reach the whole world and come back to tell us of your success! Now that you know how to create a multilingual website, are you ready to create your own Multilingual Website? 오늘 US에서 2306가 넘는 SITE123 웹사이트가 개설되었습니다!